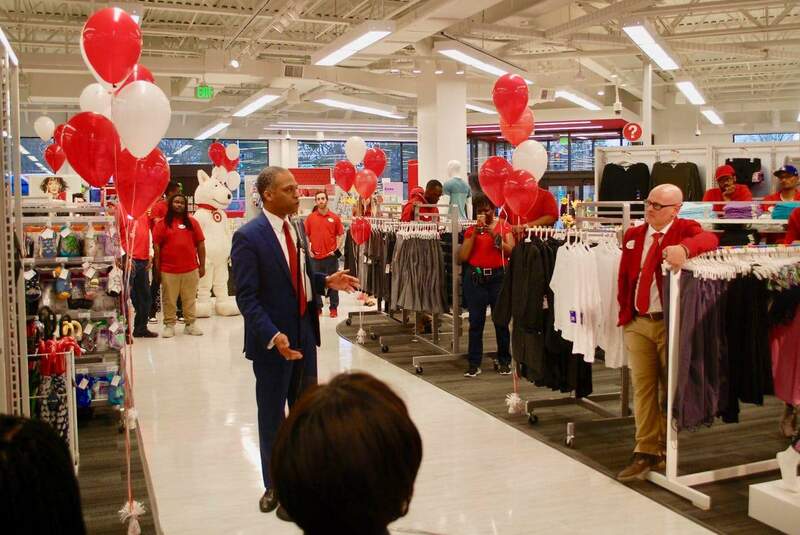 Mayor Muriel Bowser, Councilmember Brandon Todd (D-Ward 4) and local residents joined Target employees last night for a ceremonial ribbon cutting and soft opening of a new store at Georgia and Eastern avenues. 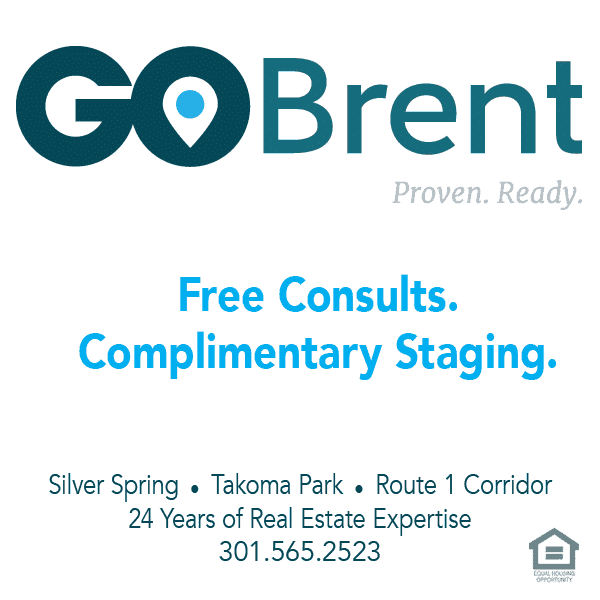 The official opening for the outlet at 7828 Georgia Ave. N.W. is 8 a.m. Sunday, April 7 for what Target officials said is a small-format store geared to serve the local residents. 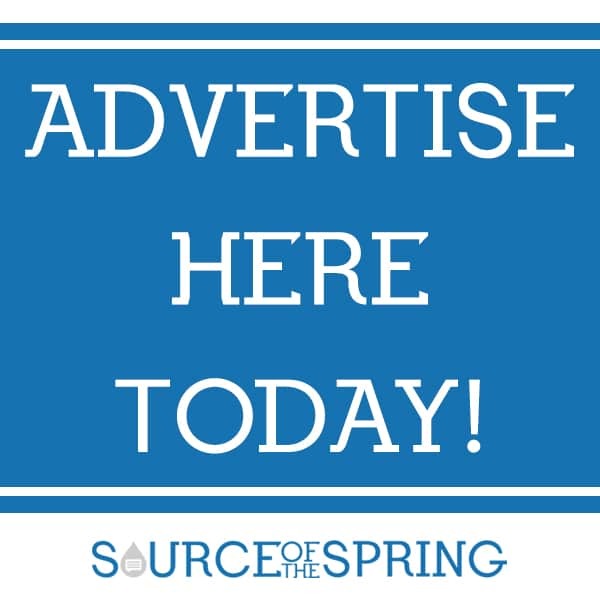 The new outlet, which was announced last May, is about 31,000 square feet and carries “an assortment of fresh groceries, home and décor essentials, apparel for adults, kids and baby, health, personal care and beauty products, tech and entertainment accessories, and more,” according to a company fact sheet. The Shepherd Park store will employ about 55 people, most of whom, officials said, live close enough to walk or bike to work. Customers will be able to order online and pick up in the store; parking is available in a lot that patrons can enter from Kalmia Avenue. Other services include a CVS pharmacy. In addition to thanking Target officials, Todd spoke of the new store in terms of economic development for the District. “I’m hopeful that the opening of this Target, the investment we’re making in upper Georgia Avenue will send a strong and clear signal to everybody else that this is the place to be,” he said. 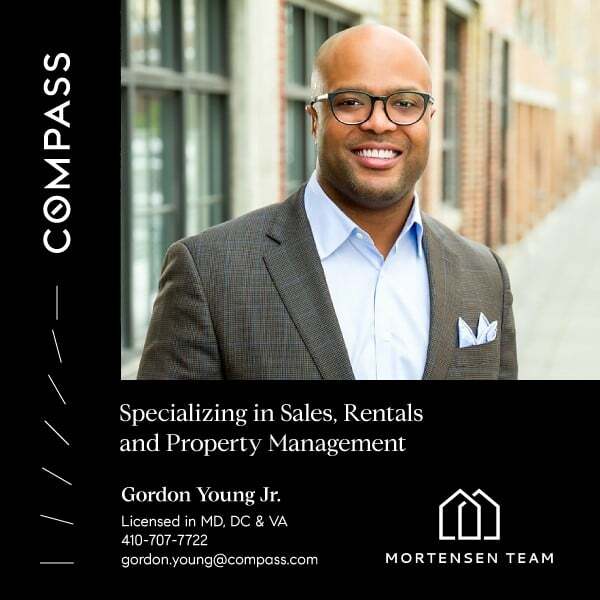 Bowser claimed that five or six years ago, District residents used to send about $1 billion in retail expenditures annually out of Washington. “Now we have turned the tide where our neighbors in Maryland and Virginia are coming into the District to do their shopping,” she said, adding that she expected this store to be successful and contribute to that turnaround. Target’s hours of operation will be Monday–Friday 7 a.m.–10 p.m.; Saturday 8 a.m.–11 p.m.; and Sunday 8 a.m.–10 p.m. The CVS inside the store will be open Monday–Friday 9 a.m.–9 p.m. and 10 a.m.–6 p.m. Saturday and Sunday. 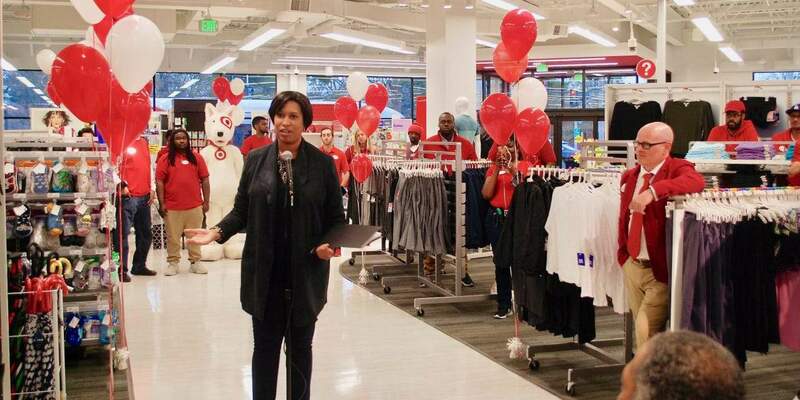 Top photo, Washington, D.C. Mayor Muriel Bowser speaks at last night’s ribbon cutting; store director Steve Periconi is at right (in red jacket). Below, Councilmember Brandon Todd gives his remarks. Photos by Mike Diegel. Any giveaways or specials for the grand opening on sunday? Reusable bags to the first 1,000 people in the store.